Most people agree: Prescription drug prices are too high. While there is broad support for legislative solutions – the CREATES Act, for one, which would help speed lower-priced generics to market – fierce lobbying efforts have hampered voting on Capitol Hill. In the absence of an act of Congress, what can older adults do, right now, to rein in prescription drug costs? Bob Lassen of Firth has a 360-degree view of the issue. He brings the perspective of a career pharmacist, a retiree since 2014 and an AARP advocacy volunteer. Just recently, longtime pharmacist Bob Grenier, manager of ambulatory pharmacy at CHI Health, says he was able to save a patient with COPD $360 a month on inhaler costs by digging into that patient’s insurance formulary (list of covered drugs) and finding a preferred product that was less expensive. “As pharmacists, there’s an incumbency upon us to solve those problems. I always love the opportunity to do that. … Pharmacists have an understanding and the resources to access those formularies for those preferred products,” says Grenier. So, step one in saving money on prescription drugs: speak with your pharmacist. Investigating manufacturer copay discount cards. “It’s a really easy process, and pharmacists can assist with that,” Grenier says. The only downside: Due to anti-kickback laws, the discounts can be used only by patients on commercial insurance plans as opposed to those on Medicare or Medicaid. Utilizing your pharmacy’s $4 list when appropriate. Considering a 90-day supply. “Some insurances will discount a three-month supply as opposed to a one-month supply,” Grenier says. Seeing whether mail-order pharmacies are an option. Asking your doctor whether any prescription drug samples are available. Exploring whether you might qualify for a pharmaceutical assistance program. Rxassist.org offers a database of manufacturer-run assistance programs that provide free medications to people who cannot afford them. Medicare and Social Security offer their own Extra Help program for people with limited resources. Some drug makers even offer help for those enrolled in Medicare prescription drug coverage (Part D). Local nonprofit Volunteers Assisting Seniors (VAS) is also eager to provide free, unbiased Medicare counseling. “During Medicare open enrollment, we will help anyone on Medicare review their prescription drug coverage to make sure they are situated for the new year in the plan that will provide the most cost-effective coverage. 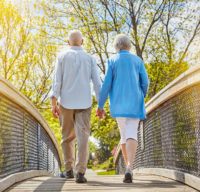 Throughout the rest of the year, we provide counseling for people who are getting ready to transition into Medicare,” says VAS executive director Sue Fredricks. People living in the Omaha metro area can make an appointment with VAS by calling 402-444-6617. Those in other parts of Nebraska can call 800-234-7119 to find a Senior Health Insurance Information Program (SHIIP) office near them. In Iowa, call 800-351-4664. When talking about prescription drug costs, a bottom line, says Lassen, is that “these medications only work if you take them.” Not filling a prescription is not the way to save, and yet, many older adults are doing just that. 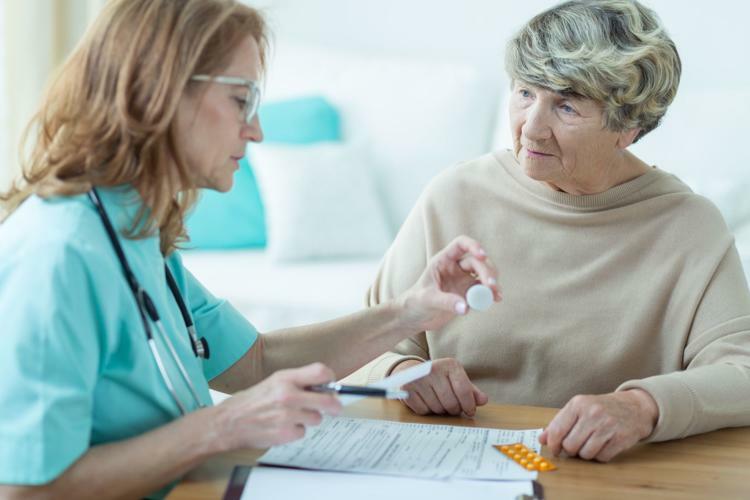 According to an AARP survey, more than half of respondents (adults 50-plus) reported not filling a prescription in the past two years, citing cost as a factor.